Make marshmallow snowmen - Easy how to, step-by-step DIY tutorial! 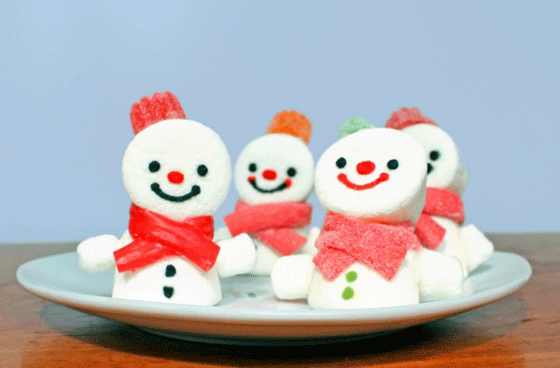 How to make marshmallow snowmen! 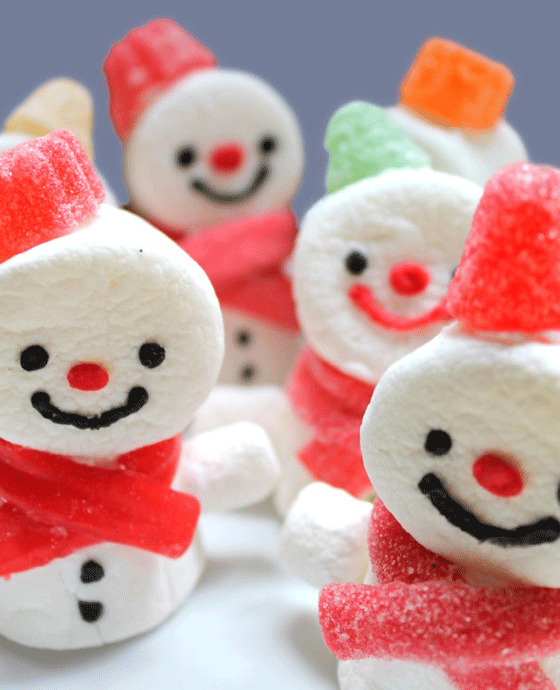 These sweet marshmallow snowmen are fun & easy to make! Dress them up however you like. Look at the easy photos instructions below. 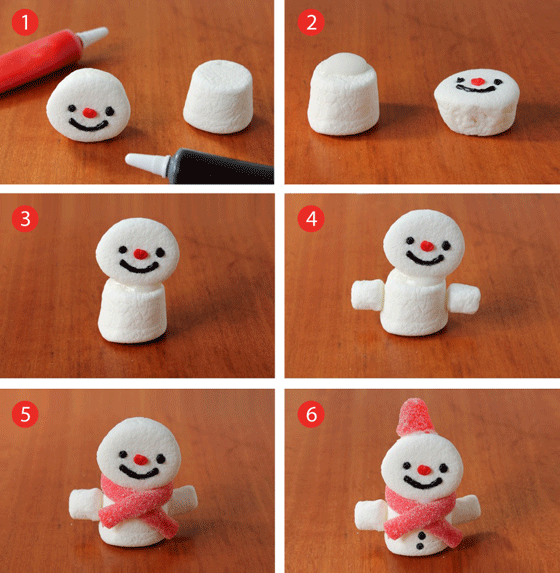 Make marshmallow snowmen in no time!. They also make a great festive party activity. Fun party decorations and activity ideas! • Big marshmallows, tiny marshmallows and some gum drops for the hats. • Icing sugar and water to make your ‘glue’. Add 3 heaped tablespoons of icing sugar into a bowl, then mix in 2 teaspoons of water and stir. This should give your glue a nice sticky consistency. 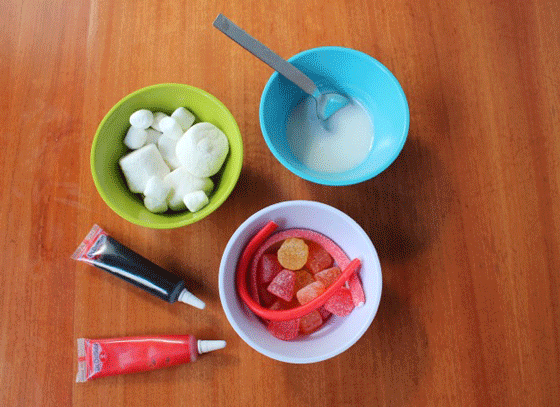 Decorate your snowman’s face with squeezy icing pens or icing sugar mixed with food colouring. A toothpick works well as a pen. Take one large marshmallow and apply a blob of icing glue to the top. Next take your snowman’s face and place it on top. Set aside for a few minutes to dry. Add the arms in the same way. Hold in place for a few seconds until they are set. Next add a nice red scarf, using your icing glue to secure at the back of your snowman’s neck and on his front. 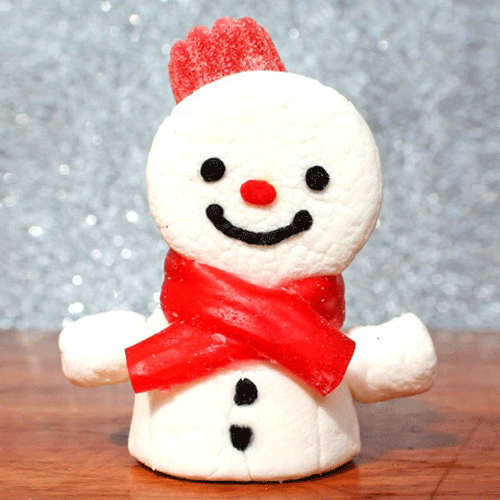 Now add a gumdrop on top for your snowman’s hat, using a dab of your icing glue to secure. Almost too sweet to eat…but not quite! Yum, yum! We hope you enjoyed our marshmallow snowmen! If so, please give us a little love; by liking us on facebook, pinning us on pinterest or following us on twitter. Thank you! Great idea look so sweet. I will make them with my grandchildren for Christmas. Really cute but my creative days are over. 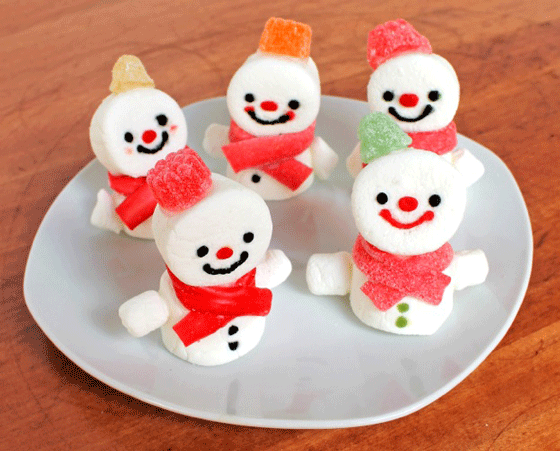 I want to learn how to make these cute marshmallow snowmen!!!!! What is icing sugar? Is it what we call confectioners sugar? Thank you. Yes you are correct. In the UK we call it icing sugar and in the United States confectioners sugar.